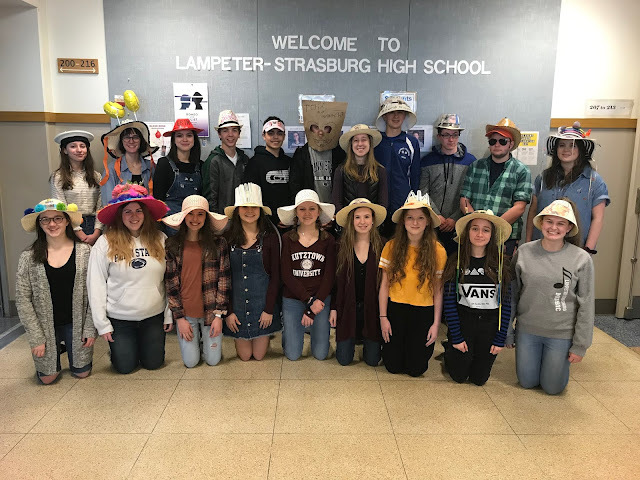 April 13 marked another win for the Lampeter-Strasburg boys lacrosse team, which defeated Cedar Crest 22-7. Early in the game, Nate Patterson scored for L-S, but Cedar Crest immediately struck back with a goal of their own. Noah Patterson and Alex Knarr stepped up their game each scoring before Cedar Crest could put another one in. Noah Patterson, assisted by Tyler Zameroski, scored again for L-S later in the quarter, and then Trevor King followed a Cedar Crest goal with back-to-back scores bringing L-S up by three. Just as the buzzer sounded to call an end to the quarter, Logan Miller scored an impressive goal for the Pioneers. The second quarter started with a goal by Cedar Crest, but was followed immediately by Zameroski scoring. Knarr followed with two more, assisted first by Teddy Mazaheri and then by Dawson Albright. Nate Patterson scored another for the Pioneers, and then assisted Patrick McClain, who scored before the half. The second half started strong with an L-S goal, bringing the score 13-4. Knarr and Mazaheri brought two more goals to L-S. L-S threw two more in the net during the quarter, but Cedar Crest followed with two as well. The fourth quarter featured two more goals from Knarr and two from Trevor King, assisted by McClain and Mazaheri. Jared Peck also scored for L-S bringing them to a staggering 22 goal total. Cedar Crest managed to score twice before the end of the quarter, but it was no hope. L-S beat Cedar Crest by 15 points, the scoreboard reading 22-7.